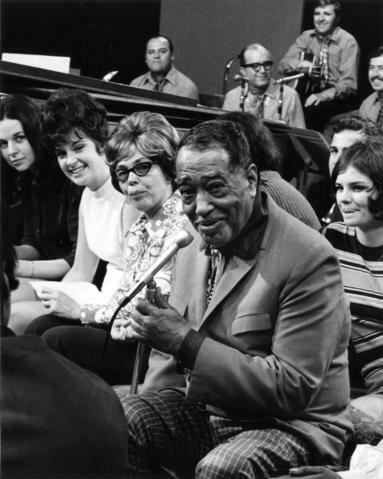 Item : CVA 134-153 - Duke Ellington as special guest for Vancouver Variety Show "In The Round"
Duke Ellington as special guest for Vancouver Variety Show "In The Round"
Item is a photograph showing Duke Ellington as a special guest for Vancouver Variety Show "In The Round." Caption from Vancouver Express: "Duke does it here . . . veteran jazzman Duke Ellington is the special guest for the premiere of a new Vancouver-based variety show, In the Round, Saturday evening at 7:30 on Ch.7."